Qualcomm, a leading chipset manufacturer plans to unveil the first 5G Smartphone, even with the 5th generation mobile speed not yet out for mobile phone usage, but Qualcomm has assured Smartphone users that the speedy network will be available soon. 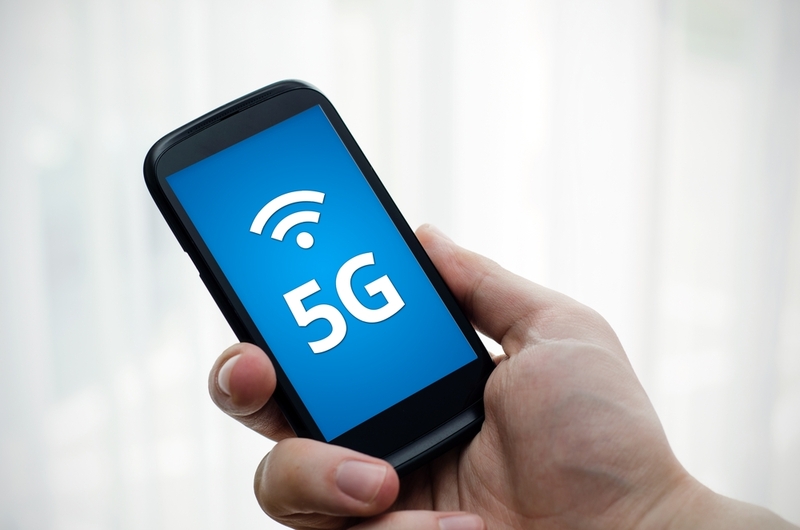 According to Qualcomm, the 5G mobile internet speed is faster than the existing broadband and carries more bandwidth to ensure vast web traffic handling. Qualcomm is very proud of this demonstration and believe it marks a major milestone in the world of mobile internet speed. Considering that 1 Gbps equals 1000 Mbps, the 5G speed will allow you to download a 60-minute TV programme in 6 seconds or less. Is 5G Practical or Just a Myth? According to Prof William Webb, the author of the popular 5G Myth book, this does not appear as a big deal. He says, “The network is not 5G yet and so it’s premature to argue it is.” Prof William does not buy into the claim and argues that faster phone internet speed has been achieved in 4G, and the 5G is still a myth. Generally, the 5G subject is evoking mixed reactions in the world of mobile internet speed. There are those who are open to the idea and there are also those who consider the innovation is premature like Prof William Web. As for Qualcomm, they are on course to deliver the first internet speed for phone use and they are not perturbed by the negative publicity. When making the announcement, Qualcomm’s spokesman said, “When the product is ready to be shipped to the Smartphone manufacturers, everyone will be able to use the 5G.” Qualcomm claims that the product’s demonstration at the San Diego laboratory showed massive speed potential. They had employed the 5G technology in various chipset tests and the results were positive. For this reason, they are optimistic about their 5G innovation and are determined at fulfilling all the remaining steps before the product is ready for Smartphone consumer use. “This announcement demonstrates the steps we are adapting to prove the skeptics such as Prof Webb wrong, “said the spokesman. To Qualcomm, the skeptics will always be there but their allegation cannot deter them from unleashing the newest Smartphone internet speed. The company insists on the practicality and viability of their 5G innovation. The steps they have taken demonstrate their dedication to the innovation, and they are determined to take this product to the market. To those who’ve bought into the idea, Qualcomm has achieved a lot and they are showing progress in realizing the 5G dream. For this reason, they can’t wait to use 5G. Today’s fastest internet speed 4G employs sub-6GHz frequency levels. At the moment, the levels waves are heavily crowded. Most mobile operators don’t have the capacity to accommodate and handle the web traffic created by billions of consumers around the globe. The exact specifications of 5G have not been outlined by 3GPP, the world mobile standardization body. For this reason, different companies are employing various technologies hoping that the 5G dream will be realized before 2019. What most companies are doing is trying to optimize the 4G network. They try to make the movement of data efficient so as to offer more capacity and fast speed to the mobile user. There are also many technology firms that are advocating for the use of the current 28 GHz plus 39GHz spectrum bands. They believe that the spectrum offer better bandwidth when compared to the sub-6GHz. Prof Webb argues, “There are different forms and definitions of the 5G in existence and majority of them will be implemented before 2019.” The professor believes that 5G is achievable, only that the time is not yet right. Qualcomm had looked closely at this analysis and insists on the capability of their speedy technology. They are planning to have the new chipset working on Smartphones before July 2019. In conclusion, the 5G dream is no longer a myth, despite the skeptic analysis, the company is not ready to throw in the towel, and they are adamant about launching the 5G smart chip sooner than later. They've already laid the foundation, and it’s just a matter of time before you start using 5G internet speed.